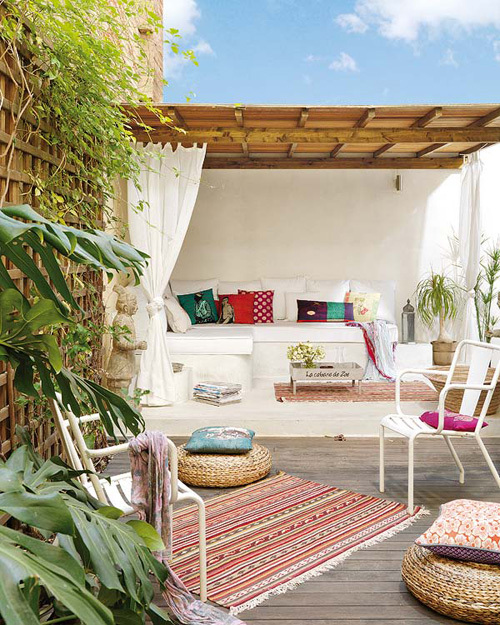 Today I’m loving … this beautiful Balinese inspired outdoor area. 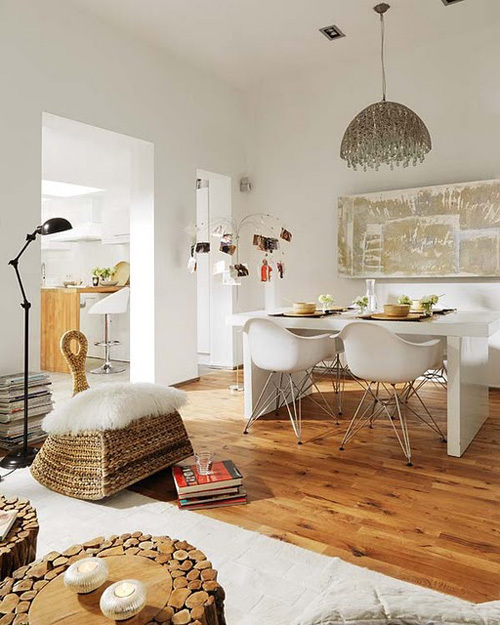 IKEA pieces, such a the rattan pouf and the kilim rug, are mixed with accessories from the far East. 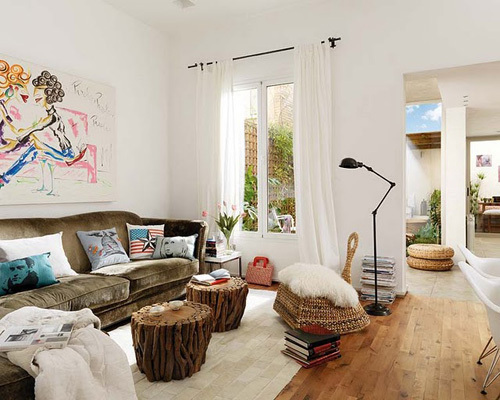 This home, which is located in Barcelona, Spain was designed by Interior Designer Mireia Pla of Studio Vuong. As the single storey home of 100 square meters isn’t very large, the search of natural light became an absolute priority. This was achieved through an installation of fixed glass, large sliding doors to the terrace and three large skylights in the ceiling of the kitchen. Furniture pieces are made from recycled and natural wood. The comfy sofa is upholstered in velvet. It sure does look big for a small space – great use of light! It looks gorgeous. But this is hardly Balinese. I don’t see anything that makes is uniquely Balinese in design. This is such a beautiful project! love the pop of color..and the light! It’s interesting to see the garden furniture is pristine with smooth lines, while the interior design has more rugged textures usually associated with exteriors. 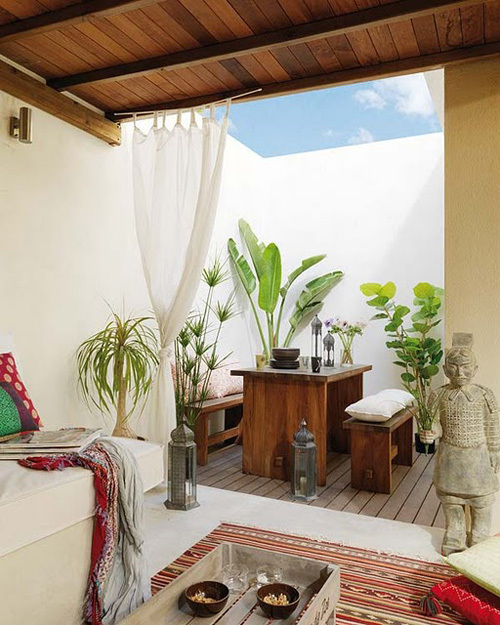 These are beautiful spaces, I love the Balinese look and the ways the indoor spaces flow right into the outside world. Absolutely beautiful designs and great examples of maximizing small spaces.